January 1 - First day to file a 2016 tax return. The IRS will not accept e-file and free file returns until January 20. Paper-based filings would not be processed until approximately January 20 as well. January 20 - IRS E-file go live! Electronic and paper tax returns will begin processing. January 31 - W-2’s from employers should have been received. If not, contact the Payroll department should be contact to resend W-2. February 16 – Deadline for financial institutions to mail out 1099-B, 1099-S and 1099-MISC forms. April 15 - FBAR (Foreign Bank Account Report (FinCen Form 114)) (note change of deadline) forms due for taxpayers who have over $10,000 in total in foreign bank accounts in the prior year on any ONE day. Forms must be filed electronically. Extended deadline is October 15, 2017 (note: this is the first time ever that extensions are available for FBARs). Note that unlike tax returns, FBARs do not have a next-business-day rule if the deadline falls on a Saturday, Sunday, or legal holiday. April 17 - *Tax Day* Last day for filing federal income tax returns and extension requests for individual and C Corporations returns. Since April 15th is a Saturday the due date has been shifted out to Monday, April 17th. Reminder if filing extensions and you owe tax … you are required to pay by April 17. April 15, 2020 - Filing a 2016 tax amendment. You can file an amended or previous year return anytime, but you have a deadline of 3 years from the original due date to claim any tax refund. Congress passed the PATH Act with changes being implemented for the Child Tax Credit and the American Opportunity Credit with the tax returns for the 2016 tax year. · If a taxpayer has intentionally given false information to qualify for the Child Tax Credit or the American Opportunity Credit, the IRS will bar the taxpayer from claiming the credit(s) for two years. · Taxpayers cannot file an amended return to claim the Child Tax Credit or the American Opportunity Credit for a qualifying child if they did not have an ITIN or social security number in those years. · The EIN of the educational institution must be provided on Form 8863 for the American Opportunity Credit. If the EIN is not included, the IRS will reject the credit. Are you up-to-date on filing your tax returns for each year? If not, you should file back years before the IRS catches up and slaps huge penalties and interest on any tax owed, or prison. By not filing, the IRS will assume how much you owe to them because they will not have all of your information, for example, deductions, credits, specifically the Foreign Tax Credit. File your back years and past FBARs through one of the IRS amnesty programs. Read below about the Streamlined Filing Procedures filing. 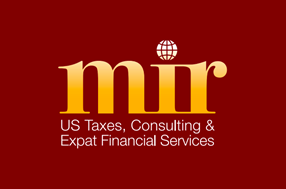 Contact Mir Taxes. Tax season will be upon us before we know it! 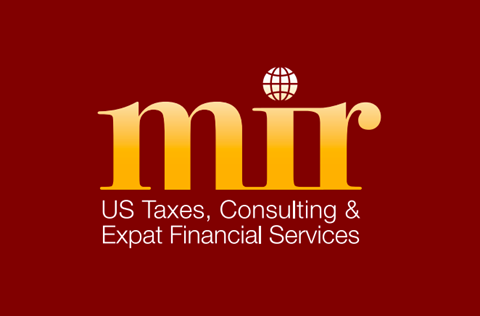 Mir Taxes will begin the tax seminars again - U.S. Taxes for the Expat 101! The next seminar is tentatively scheduled for October 27 at 6:00 P.M. at Av des Saisons 110 in Ixelles. Mark your calendars! Sign up link coming up soon or email us. Behind in your tax filings and lived overseas? Did you know that Moneycorp can now help clients who reside in any of the 50 States with their currency exchange and international transfer needs? US residents across the 50 States can now take advantage of Moneycorp’s bank beating exchange rates and expert guidance on the foreign exchange markets!